I actually found it: you have to go find the village it does belong to. Work this mod with Bailies Dailies? do structures spawn in modded biomes? Yes, they should spawn in modded biomes just has often as vanilla ones. Hello again! Had a chance to try this mod out and it's great. Only draw-back right now is that my current abode has no lord or house for the lord (I'm playing on peaceful, might that affect it? ), so my reputation increasing capabilities are severely diminished. I have right-click harvesting activated on my modpack, but ToroQuest seems not to register harvesting a plant (i.e reverting it to newly planted stage) as a gain in reputation, only a loss. So in order to keep my reputation somewhat steady I have to break the crops and replant vanilla style. This is a problem with crops like hemp where you ideally don't even replant them (or natura's cotton, both having longer early growth stages). My question I guess is, is this a bug or something more likely to do with my set-up? Does ToroQuest usually work with right-click auto harvest? EDIT: To be clear, I'm pretty sure that ToroQuest doesn't recognize the option in Harvestcraft to automatically replant (designated in harvestcraft config as "B:enablecropspecialplanting") since it does recognise the harvesting bit. EDIT2: I'm not sure what that option in harvestcraft does actually. It seems to have been an issue with planting rice in the past (they require water) which makes me think it at least could be tangiently related. Thanks! It sounds like ToroQuest is just not compatible with Harvestcraft. I recommend turning off cropsAffectRep in the config file, so that you are not negatively affected by it. The village lord should work in peaceful mode. If he is missing and you can go into creative mode, you can spawn one in with an egg. Yes, I disabling the option for rep and planting was my resort. Might as well, winter came (TAN) in my last session and I had to break all the crops and put them in storage anyways. Realized break-harvesting would be acceptable in the long term, if I can gain enough to outpace the bad rep from crops like hemp and cotton etc. If I spawn a Lord in a village, will he become automatically of that faction? Yes, he should auto affiliate with the first faction he is in. can this structures and mobs spawn in the nether? i have 1.12.2 and i have toroquest 1.12.1. Any plans to update to 1.12.2? 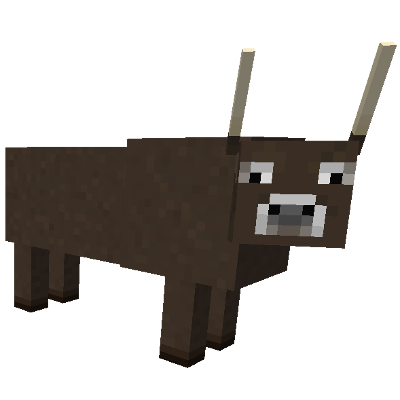 It crashes with Pam's Llama Milking mod whenever I try to interact with a ToroQuest villager. Sentries are taking over areas that are well outside of towns. How can I turn down sentry spawns?